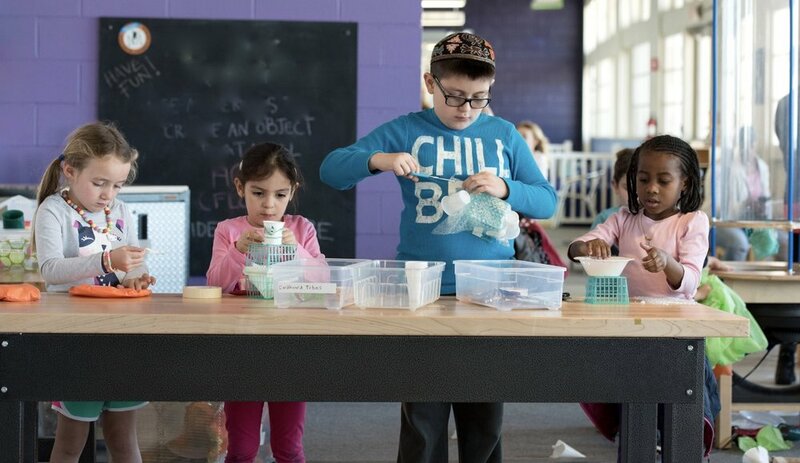 The Westchester Children's Museum is a vibrant, interactive learning space providing children, families and school groups the opportunity to nurture curiosity, enhance knowledge and ignite imagination through creative hands-on exploration. The Museum is committed to broadening knowledge of the arts and sciences, the environment, multiculturalism, and the local and global communities in an educational and recreational atmosphere. The mission and higher purpose of the Westchester Children’s Museum is to provide STEAM (science, tech, engineering, arts, and math) experiences to the broadest audience of children possible, most particularly those without access to this kind of enrichment in their own communities and schools. The Museum welcomes among the most diverse audience in the region, and encourages critical thinking skills equally to cooperation and collaboration. The Museum is located in the historic landmark Bathouses on the Boardwalk at Playland Amusement Park in Rye, NY. Our policy is that every child must be accompanied by an adult and every adult must be accompanied by a child. Please do not plan to leave your child unattended at all during your vist to the Museum. Additionally, we do not at this time have day care. We have dedicated space available for you to bring your own snacks and covered beverages. We offer a vending machine with a variety of beverages and easy snacks. By the way, proceeds from sales of beverages and snacks directly support the Museum. *We ask that you keep all snacks and beverages within the designated snack area to keep our exhibit areas crumb and spill free. Yes and yes, We are open all year long. its nice and cool here in the summer and warm in the winter. Our site offers the best of being outdoors with our location along the Boardwalk of the Long Island Sound, but we are the only site in the region that provides a welcoming and safe indoor play and learning environment for children with their families, caregivers, schools or groups - no worries about rain, cold, snow, or extreme heat! We have noticed that the average length of stay at the Museum is 2.5 hours, and many of our visitors come back time and again. We offer a broad range of interactive exhibits and an ever changing Makerspace with activities dedicated to art and to science and technology. Check our Current Exhibits page to learn more. We also offer drop-in science, engineering, arts, and crafts programs throughout the week. Check our [calendar] to see what is offered. We offer special drop in programs throughout the week. It is best to check our calendar to see what is being offered. All our programs are INCLUDED with Museum admission. Parking is available in the main lot adjacent to Playland Amusement Park. The parking lot is managed by Playland and at this time, we are subject to the fees determined by Playland during the amusement season May-September. Good news - We do offer memberships that include parking and will make repeat visits much more cost effective. There are no parking fees during the Fall and Winter. Currently we have 4 restrooms, including 2 larger family restrooms that are handicap accessible and equipped with changing tables. We have 2 water fountains and water bottle fill spout. We are currently in construction and will be adding more restrooms to the expanded museum space. We understand that emergencies happen, but we do ask that you use the restroom to change diapers rather than out on the Museum floor. While we do have a wonderful location along the boardwalk at Rye Playland and overlook the public beach of the Long Island Sound, we do not allow guests to wear only their bathing suits in the Museum. During the summer, we encourage you to make a day of it by visiting the beach together with the Museum, but please use the Playland Beach locker rooms to change from your bathing suits into your regualr clothing. Shirts, shorts/skirt/pants and shoes are required. We share the same beautiful location along the Boardwalk and the Long Island Sound, and share a parking lot, but the Museum is independent from Playland Amusement Park. We do not have a joint ticketing program at this time.